Hunt for Easter treats and join in fun activities at participating businesses. Be sure to bring your Easter baskets and wear your bunny ears! Main St. E. will be closed to vehicles from Martin St. to James St. for the event to ensure everyone stays safe. 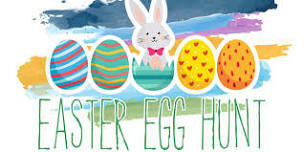 50,000 eggs - BEST Egg Hunt for kids and families in Ontario for Easter - Prizes, vendors, outdoor fun at Canada's Largest Egg Hunt - Want a family activity on Easter weekend? The Easter Bunny is at Milton Mall! Hop on over to the Symphony Banquet Hall for a fun Easter Egg Hunt. Bring the Kids for a Day of Fun! Face Painting, Games, Crafts, Prizes. Egg Hunt Every Hour, Free Parking. Come celebrate the beginning of Spring with family at Ireland House Museum. Hunt the Easter egg trail for a golden egg and meet the Easter bunny! Throughout the day there will be children’s entertainment, a petting zoo (11:30 am to 2:30 pm), and Easter-themed games and crafts. The historic house will be open for tours, with hot cross buns being made on the 1830s Rumford hearth and hot chocolate being served from the wood stove in the summer kitchen. A small vendor market will be on site featuring local, handmade items and desserts. Join Beasley Bear and his special guest, the Easter Bunny, for a fun filled day on Centre Island during Easter Weekend. This egg-citing pre-season event features some of your family's favourite rides. Get your face fancifully painted, visit the farm animals at Far Enough Farm, and top it all off by taking part in our Easter Egg hunt! Collect brightly coloured eggs and redeem them for amazing prizes from Lindt Gold Bunny, Bear Paws Crackers, Oasis Juice, Jelly Belly Candy, Old Dutch Foods, Ring Pop, and much more! Enjoy Free Chocolate Treats, 10,000 Chocolate Eggs, Live Entertainment, Fun & More! All Children Welcome | This is a Free Event.